Whether you're interested in upcoming smartphones, games consoles or digital cameras, or just want some peace from the autoplaying videos that pop up everywhere on the web, we've got tech news for you: read on for the details, courtesy of our friends at TechRadar. We've recently seen the likes of Razer and Asus launch phones made specifically for gamers, and if the latest rumours are to be believed, then Samsung is about to join them. The Twitter source behind the claim has accurately predicted Samsung news in the past, but we wouldn't take this as set in stone just yet – we'll have to wait and see on this one. What will the next Xbox look like? 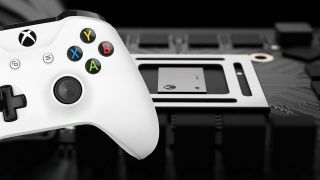 It feels like we're getting close to another major games console refresh, and according to insider sources, Microsoft is prepping an Xbox that will stream all of its games over the web. Due to launch in 2020, the device is apparently called Scarlett Cloud, and will arrive alongside a more conventional console, so gamers can take their pick between the two. We've seen a teaser video for Nikon's upcoming mirrorless camera, and now we've got a launch date: Thursday the 23rd of August. Some pictures have also leaked on the web, though there's still a lot we don't know about the upcoming snapper. Whatever it is, given Nikon's track record, it's probably worth getting excited about – only four weeks to go. Few web browsing experiences are as frustrating as having the audio from an autoplaying video blare out of your speakers, but Firefox is now ready to help. The Mozilla-made browser has added a mute feature to the earliest builds of the program, so users can decide whether they want to hear audio or not from particular sites via a pop-up window. No, we haven't forgotten our regular Note 9 rumour – it looks as though leaks about this phone are going to keep coming until it arrives on the 9th of August. Today we've got three unofficial renders to share with you, showing the phone in blue, brown and black shades – click through to see the renders, including front and back shots, and the S Pen stylus.